Vegetable-tanned cowhide leather. Unlined. Matt nickel-plated brass. Width 40.5 cm, height 25 cm, depth 5 cm. 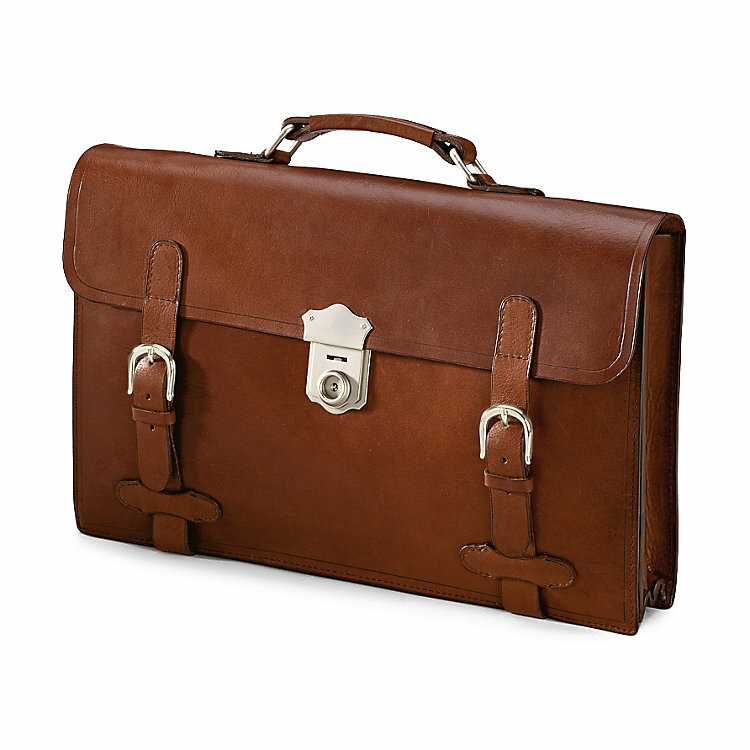 Weight 960 g.
This very flat, unlined briefcase offers room for documents in A4 format and/or a Notebook. There are two compartments inside and an extension of the front one allows the bag to be closed with snap fasteners. Without extra reinforcements, the bag is light and flexible. With two adjustable straps that support the bottom and a lock.